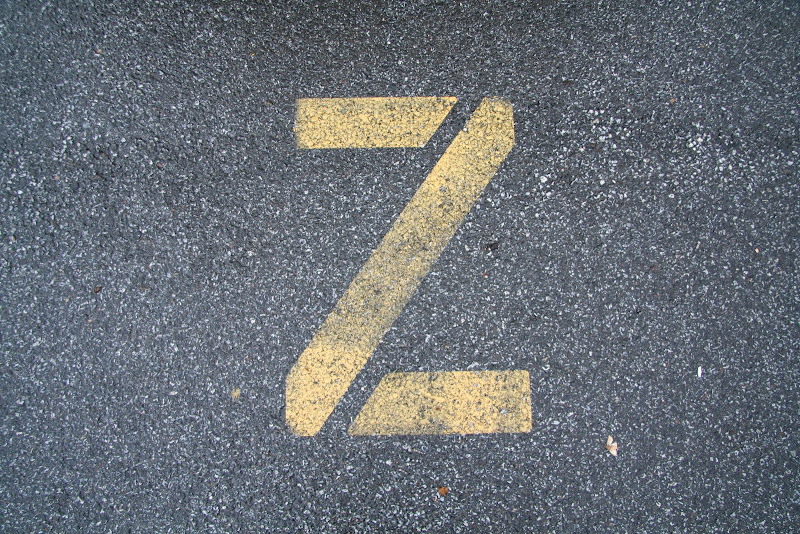 z is for zed, the 26th and final letter of the basic modern latin alphabet. Zed (band), a pop-rock group from New Zealand. Zed, a character in the film "Back to the Beach"
and zed or zedo is the term for grandfather that my family of origin sometimes uses when a man becames a grandfather. my father goes by zed, his father, however, went by grandpap, but grandpap's father was called zedo. the photo above is of four generations of yanoshik men all named stephen! 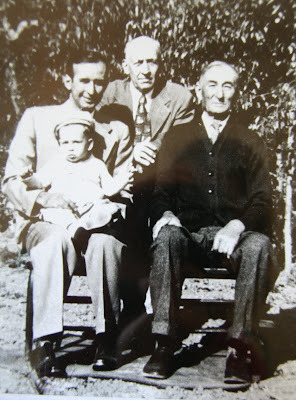 from left to right: my uncle stef (with his son on lap), grandpap, and zedo. photo taken in 1949.
me with my mom and dad who we now call zed. 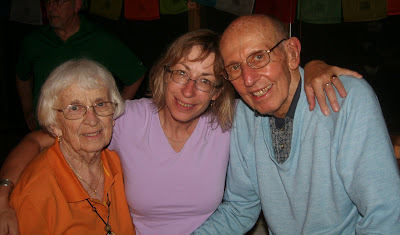 taken this year at my dad's 86th birthday party. z is also for zorro, thanks to sesame street, which ms t and I watched yesterday I learned that zorro is the spanish word for fox. even at my advanced age I can still learn things from sesame street! 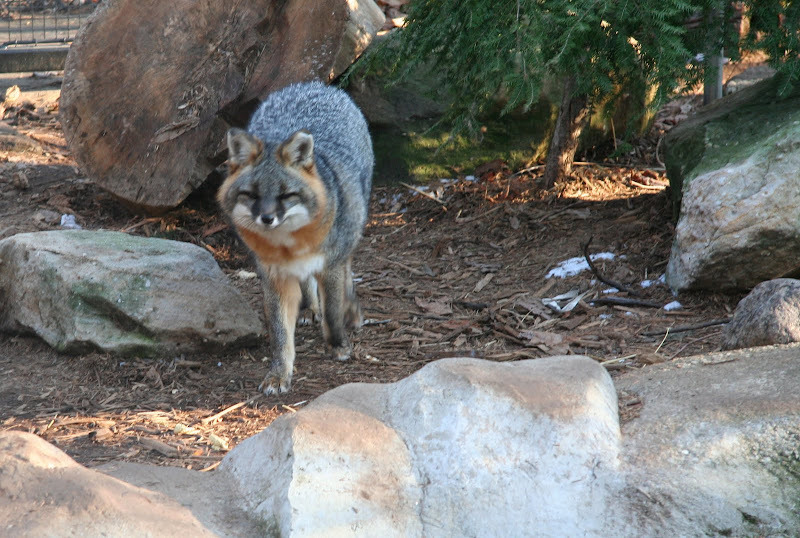 this particular fox lives at cleveland's museum of natural history. the museum takes in animals that have been injured and can no longer live in the wild. yes, that is snow on the ground, this photo was taken in january on a visit to the museum. I didn't know that about the meaning of zorro and I didn't know about the Cirque du Soleil show called Zed. (The other stuff I didn't know either but those two grabbed my attention). ZZ - the long flowing beards just make the song. Interesting. Is zed/zedo a Slavic term for elder or patriarch? Gee, I haven't listed to ZZ Top in years. I wonder if those beards are real? as - sean saves any movie for me.... zardoz is definitely among sir sean's strangest movies.... it has been decades since I've seen it, hmmmm wonder if the library has a copy of it! would be fun to watch again, talk about camp!! subby - quite a vixen!! roy - as far as I know zedo is a common name among various eastern european groups for grandfathers but I don't know if it is literally grandfather - someone once said it just means 'old man' - (or dzedo) my family's ancestry is slovak and czech. do we have any mouse readers who know, mum???? all my great grandparents were called zedo and baba - I have remarked that if I ever became a grandmother I would like to go by baba - which incidently horrifies my 'family of creation' - baba mouse - one just doesn't encounter many baba's these days! those beards have to be real, if not I'll be crushed!! Weird. I, too,learned yesterday that zorro is Spanish for fox. I think it was a Jeopardy clue. We are never too old to learn - from any source. So what on earth is going to happen now that you have got to z? Its been an enjoyable series, I hope you have something planned to follow it up with. In King Lear, Z is used as an insult. "Whoresome zed." When ever I hear Zed, I think of the Zed in Pulp Fiction and Bruce Willis telling his girlfrien, "Zed's dead, baby. Zed's dead." Zed was a very, very bad man in that flick.